Fareah Al Saqqaf is the Chairperson and Managing Director of LOYAC, which she founded in 2002 as a proactive answer to the growing extremism and aggression among Arab youth. When she was still a student at a Lebanese boarding school, she witnessed firsthand the Israeli aggressions of 1967. She also witnessed the inciting accident in Beirut that would prompt the 30-year Lebanese war, and then later the invasion of Kuwait by Iraq. September 11, 2001, was the last straw. Fareah realized that the Arab World was on the brink of bigger, more massive changes, many of them violent, and she felt the responsibility to help. And help she did, starting with the youth. LOYAC is a pioneering youth organization and the first choice of young people when it comes to innovative and high-quality development programs. LOYAC and its chapters in Jordan and Lebanon serve over 3,000 individuals annually through programs that facilitate professional development, encouraging young people to pursue their talents and to contribute to their communities. Fareah is an Economics graduate from Kuwait University and has over 15 years’ experience in both the public and private sectors. Prior to founding LOYAC, she worked at the Ministry of Planning in the Economic Planning Department. She was the Corporate Finance Manager and Consultant to the National Investment Company and the Economic Planning Manager of Kuwait Airways. She is also a playwright and an accomplished writer who published articles on socio-economic issues. She is the facilitator of workshops directed at teenagers, such as the 7 Habits of Highly Effective Teens and College Students to name one. Fareah is also an Advisory Board Member of the United Nations Development Program in Kuwait. 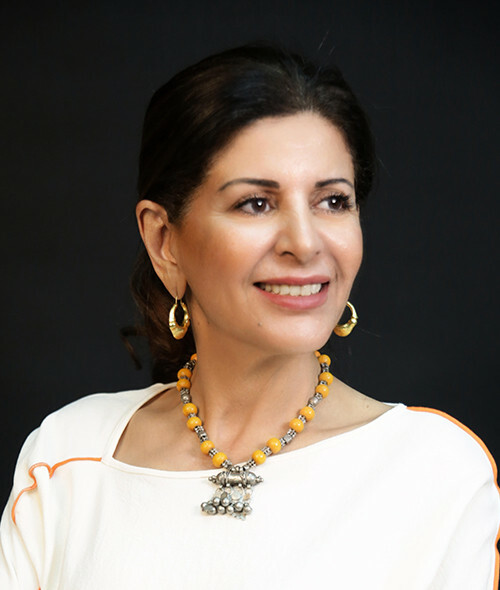 A member of the Kuwait Red Crescent, the Economics Society and the Women’s Cultural Society in Kuwait, she is also a major activist for women’s political rights in Kuwait. The US Embassy in Kuwait nominated Fareah for the “International Women of Courage” award in 2008 and for the “WOW Award” by The New Arab Women Forum (2013). LOYAC won the King Abdullah II award in 2009 and is recognized as a best practice by UN-Habitat and Dubai Municipality. Fareah also received the First-Class Medal of Honor from HH Sheikh Sabah Al-Ahmad Al Jaber Al-Sabah in 2014 for her efforts towards the youth.